Germany is the home of cars for many people. Not only have we invented the car but we also have many car enthusiasts and up to now one of the only highways without speed limit – well, at least most of the time. As you might know, we are from Germany and you can see in my pictures that I’m a fan of cars as well, especially Mercedes-Benz vehicles excite me. But, of course, there are amazing and historically significant cars from other manufacturers as well :). When Carl Friedrich Benz received a patent for his Benz Patent Motorcar in 1886, it wasn’t a popular invention. Even Wilhelm II, German Emperor thougth the car will only be temporary phenomenon and long-term, the horse will be the most common way to travel. We all know that this did not happen, but instead, vehicles changed our lifes greatly. It made travelling more easy, faster and cheaper and even created a new sport: motorsport. Today, it is an important part of our everyday life. There are masses of people watching car races and others collect them and care for them like for a family member. But, enough of basic knowledge (don’t worry, I won’t try to create a second Wikipedia here). For me, cars were fascinating since I was a child. When I finally got my driver’s license about half a year ago, I was really happy to experience driving cars for the first time. And, of course, taking photos of cars is a part of this fascination. So, starting today, I want to present some cars that I think either played a significant role in the history of cars or interest me for another reason. Introduced in 1968, the Mercedes-Benz ‘/8′ was the most sold car in Western Germany in 1974, even outselling the Volkswagen Beetle. This series included sedans and Coupés and was built until 1976. Due to its launch year, it was named’/8’, in German “Strich Acht” (loosely translated: ‘stroke eight’). It was the first post-war Mercedes-Benz production cars to use a totally new engineered chassis, not derived from older models. There were two model variants: the W114 featured six-cylinder engines with 120 hp to 185 hp and the W115 four-cylinder engines with 55 hp to 110 hp. The ‘/8’ is famous for its reliability. A greek taxi even ran about 4.6 million kilometers – yes, the engine had to be replaced three times, but there is more in a car than only an engine. 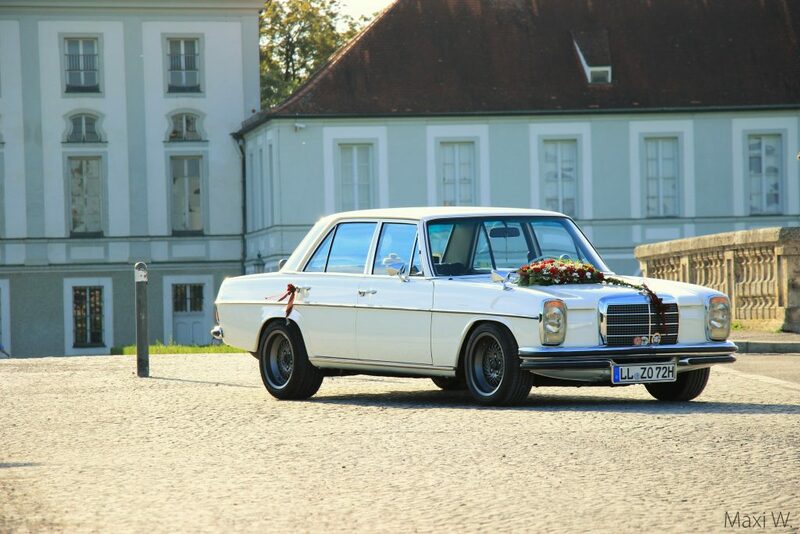 The car on the photo is used as a wedding car and was parked in front of Schloss Nymphenburg in Munich in Germany. For me, its one of the best-looking Mercedes-Benz cars ever created. But whoever decided to put on this wheels…you know :). 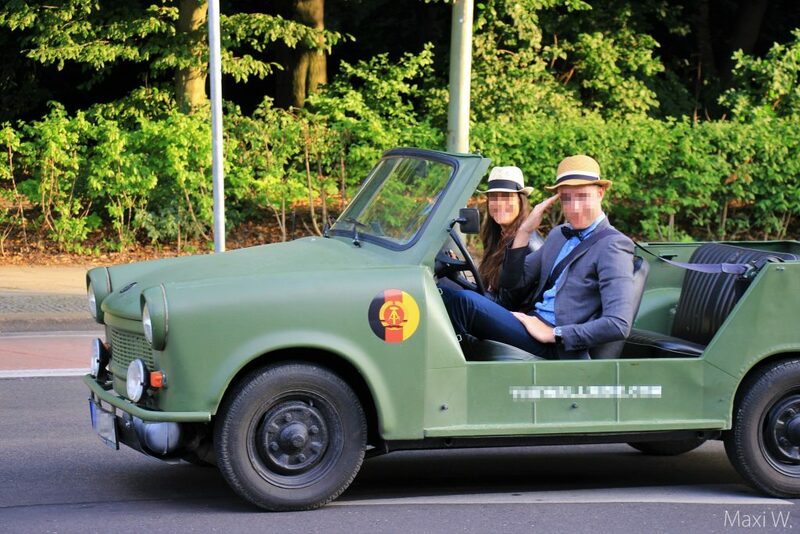 The Trabant, also known in Germany as ‘Trabbi’, is a car from Eastern Germany that was build from 1957 until 1990. In the picture you can see the model ‘P601’, which was presentend in 1964 and stayed nearly unchanged until end of production. There were many concepts and prototypes for newer versions, but the government of Eastern Germany rejected each proposal. It was a very basic car with a two-stroke engine with 22 hp and later 26 hp. Only details were changed during the production time, such as the introduction of electric windscreen wipers. 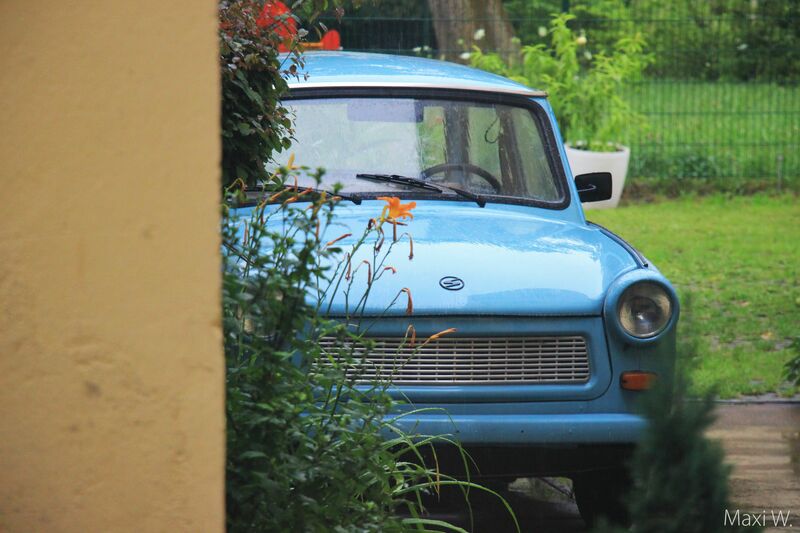 For some, this car is a symbol of the technological backwardness of Eastern Germany. Others see it as a cheap, reliable and simple car, which seems to be the perfect base for car tuners as seen in the photo below. Its a car that polarizes: either you hate it because you had to wait for it longer than a decade in Eastern Germany while in Western Germany, there were more modern cars available for everyone with the Volkswagen Golf, or you love it for its simplicity and style.